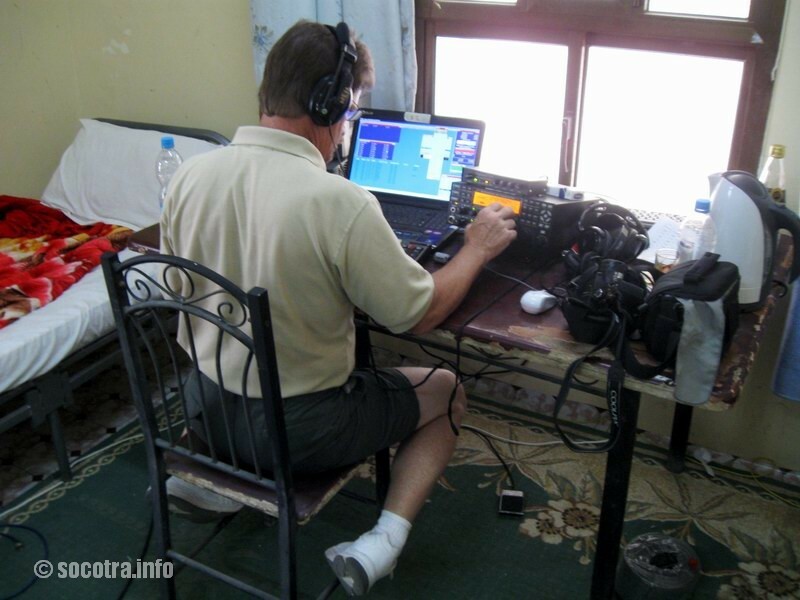 It gives us great pleasure to bring the 7O6T – Socotra Island DXpedition to a successful finish on May 15, 2012, at 2100 GMT. As we finalize the checking of our Club Log QSO data, we celebrate with each of you in achieving the 162,029 QSO’s logged. Each of our team members achieved many individual and team successes. This included working outside their normal operating comfort zone and working day after day using 8 to 12 hour work shifts with only getting 4 hours of sleep then hitting the stations operating again. They did not complain as they forged forward in a manner we’ve never seen. For this, we are extremely proud of their efforts. As part of the informal operating agreement, we were limited to six radios and ten operators total. Remember, this means five operators available during anyone shift with six operators operating during peak performance periods. 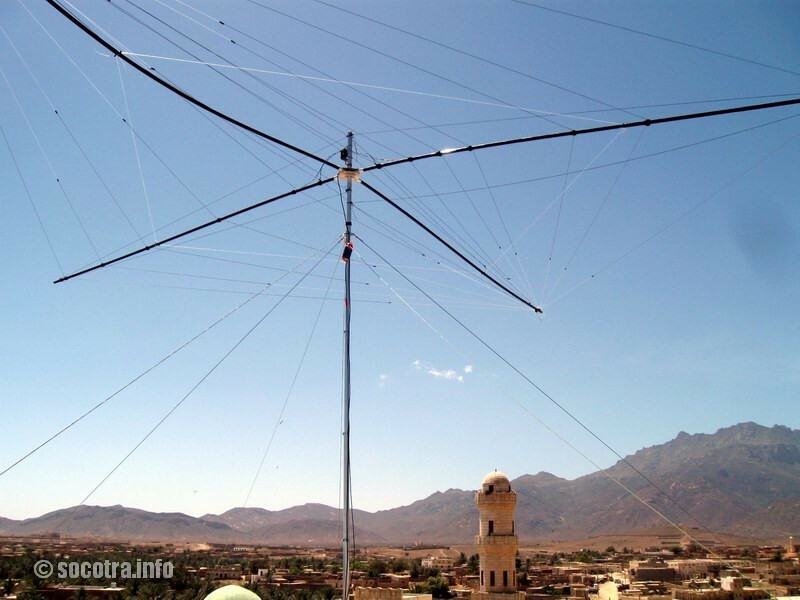 When you break these five operators into CW, SSB, RTTY & 160/80 Meter, you can run out of enough people quickly just because all bands and modes are open at the same time. We had three camp locations in order to reduce interference; CW Camp (Summerland Hotel), SSB Camp (Taj Socotra Hotel) and 160/80 Meter Camp at a remote beach location. Each of these locations remained on gas or diesel power generators throughout their operation. We would lose power at least once or twice each day at the Taj Socotra Hotel location for 1 to 3 hours each time. We acquired a gas powered generator for use at the 160/80 Meter Camp. 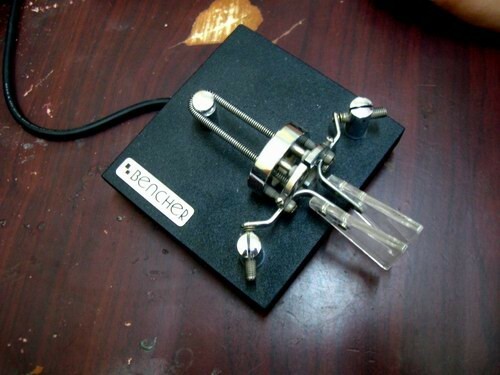 Though in any major DX-peditions such as this, there are issues that get identified and warrant re-direction, re-planning and even a few changes in operating philosophy. Prior to, during and after closing our operating positions, the team had many review meetings to improve our team’s performance. The DX Community at large provided valuable information that helped us to succeed. Thank you for your emails and comments regarding adjustments to frequencies, band openings, best use of operators, mode use, and logging errors. 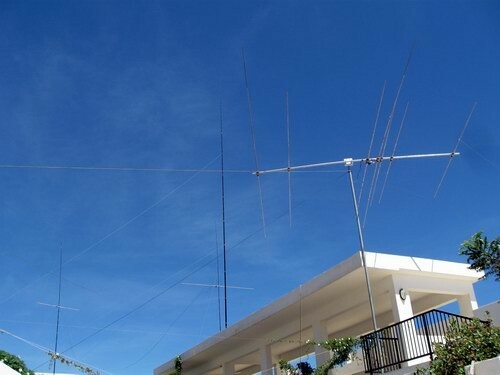 This input made us stronger and will be applied as we move forward on future planned DX-peditions. As early as February 2010, the planning for this trip began. Initially, one may not believe that such an event would be even possible. This trip came about as a result of focusing on being a good person and building meaningful relationships in the Republic of Yemen. 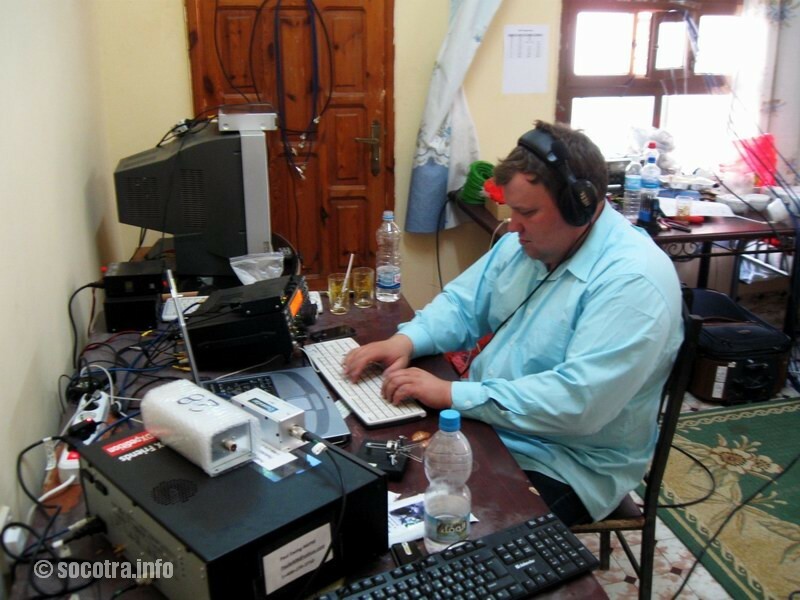 After numerous Dmitry trips and flights from Moscow to Sana’a, then from Sana’a to Socotra Island, it became evident that a future DX-pedition to the Republic of Yemen might be possible. Just like in business, even a 99% possible business deal sometimes doesn’t close. For this reason, events occurring prior to Dmitry’s formal announcement were never released or discussed except with the two Co-Leaders, Igor (RA3AUU) and David (K3LP). 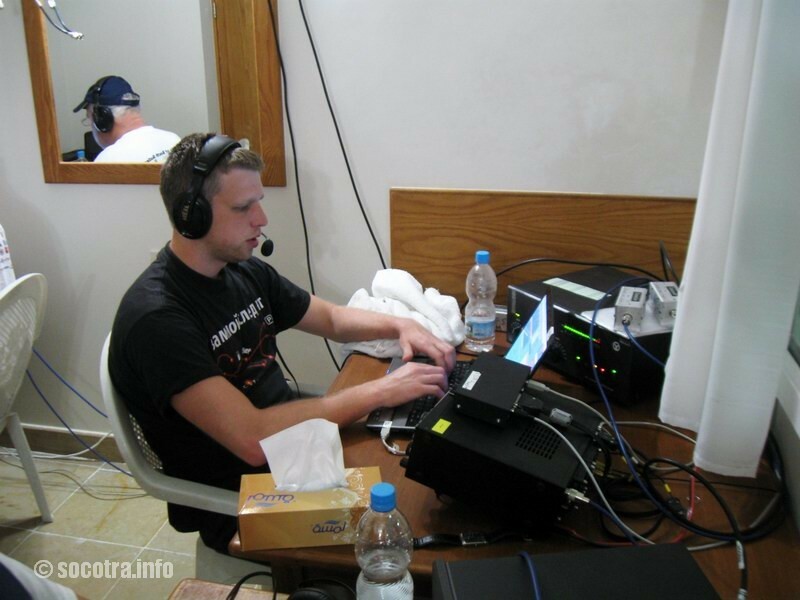 Dmitry (RA9USU) and David (K3LP) had various conversions along the away leading up to this event regarding the Operating Plan and Logistics. 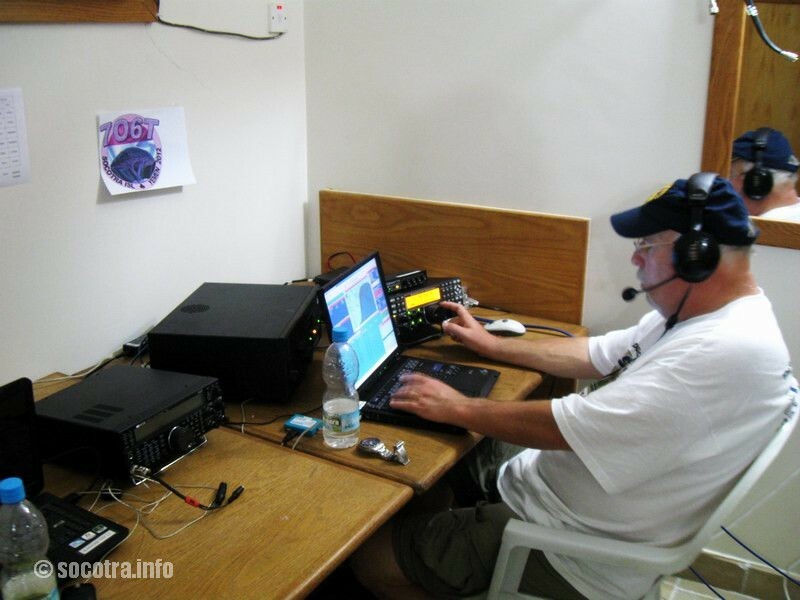 Our plan was to have the DX-pedition occur the first week of June 2012 when we both had cleared our work schedules and when all the radios, amps, antennas, and supplies would be shipped in advance. After Dmitry landed on Socotra Island on April 12, it became apparent that our plan was coming to fruition faster than expected. 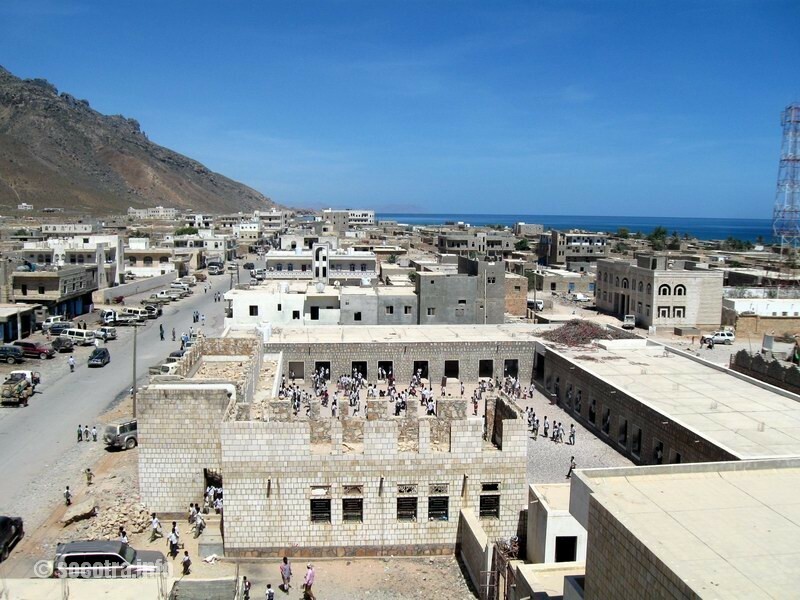 Dmitry made a couple of round trips to and from Socotra Island and Sana’a resulting in several formal approvals being given. At this point, we were faced with a choice on either to have Dmitry operate as a single operator or try to invest as much energy as possible in brief moment to organize a team and have them fly two days later to Socotra Island. We elected to proceed with a bigger team and try our best to make the event significant! 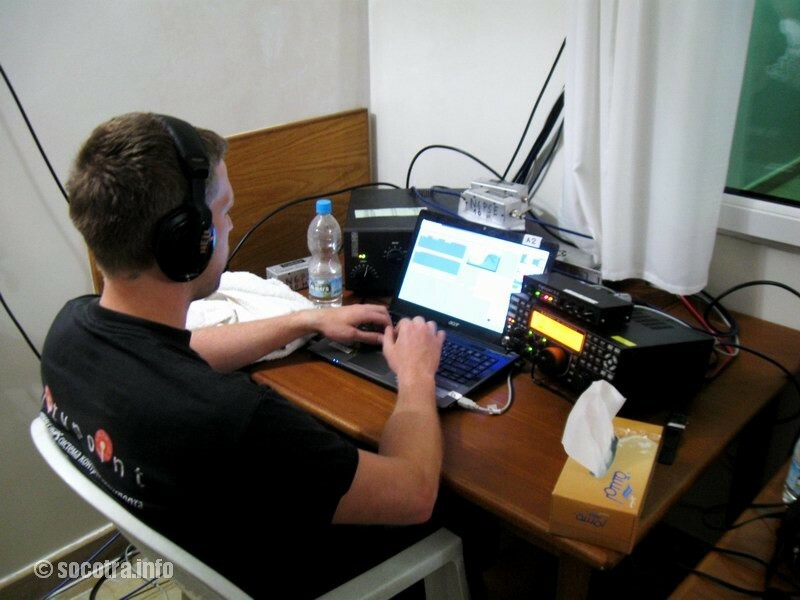 Dmitry (RA9USU – Team Leader) and Igor (RA3AUU) had contacted David (K3LP) just as he arrived in California at the Visalia DX-Convention on April 18-19, 2012, that our trip was a go and needed to be started on April 30 and ended on May 15, 2012. This forced us to abandon our prior Operations Plan and quickly devise a quick and dirty approach before the opportunity disappeared. This meant assembling an operating team that could go immediately, applying for VISAs, having each team member pack their applicable radios, amps, computers, antennas, filters, keyer, headset, coax, etc., immediately purchase their airline tickets and get ready to depart on April 26, 2012 arriving in Socotra Island on April 28, 2012. This also meant that we were not in a position to discuss or request donations from organizations, clubs or individuals in fear of having the DX-pedition cancelled. As you can imagine, this was an expensive trip that lasted from April 12 (i.e. 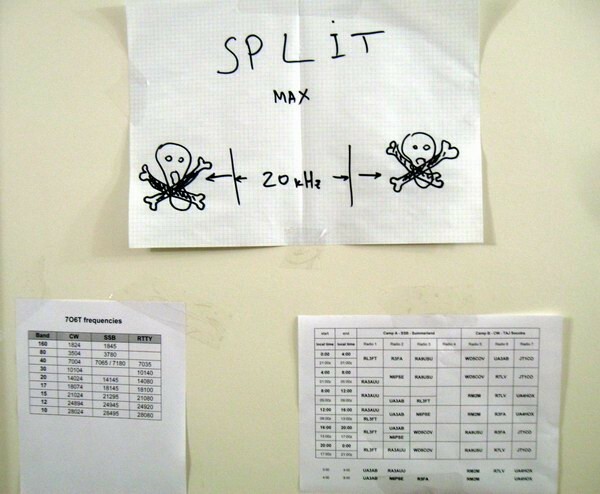 included on site planning) through May 16, 2012. In order not to draw any attention to our activities, we used only one large movement of equipment into the country and prevented our second arriving team members to bring anything. In addition, no informal or formal announcement was made until April 30, 2012 as we activated our 7O6T website (www.yemen2012.com) and communicated our intentions via the internet and emails. After getting limited team member contributions requested beyond their personal hotel, food and airline tickets (about $2,800.00), we are still in the hole about $25,000.00, so your individual contributions are greatly really needed. A complete 7O6T Finance spreadsheet was put together detailing all income and expenses for this trip and will be shared with NCDXF upon our return in hopes of getting their support. 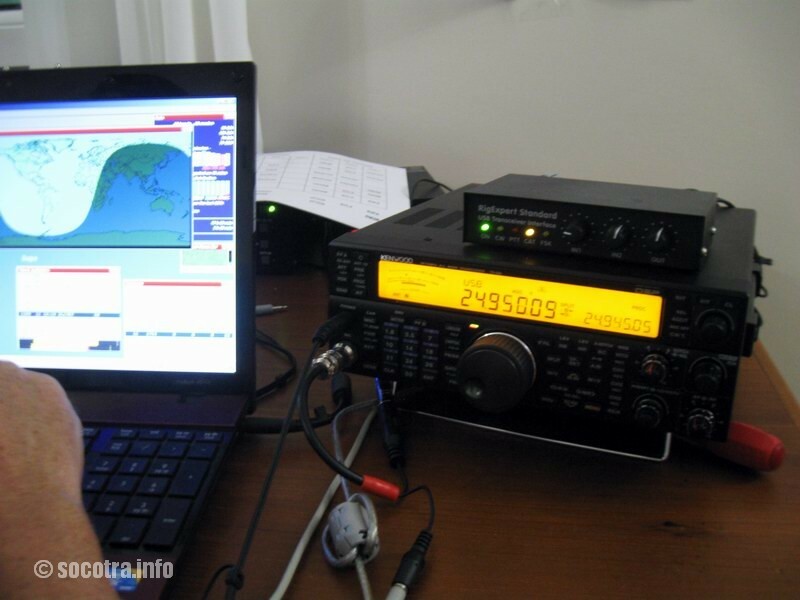 • Adding PayPal payment for electronic QSL Card confirmations. No need to send QSL cards, once you “valid date and time” of your QSO’s on line and make a payment, these cards will be sent out first. 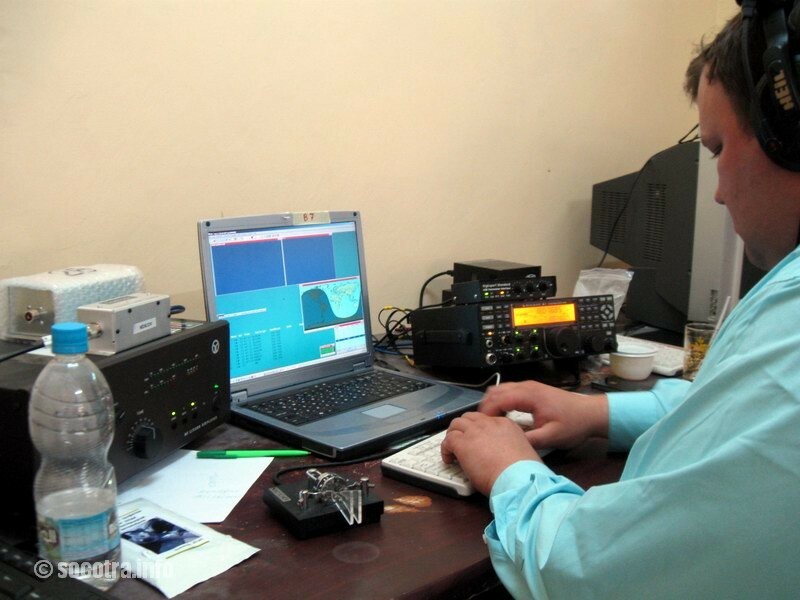 We want to thank the DX Community for their hard work, patience and willingness in making this DX-pedition a major success. We are all on our way home at this time. 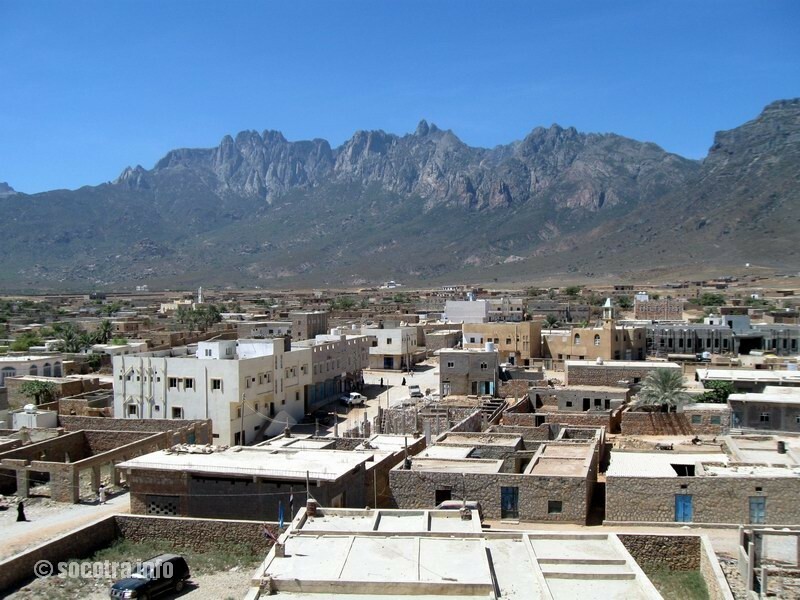 The scope of our Mission is to promote to the World the beauty and a uniqueness enjoyments of the Island of Socotra through Amateur Radio!